Removing every single thing from the garden that is not essential for growing crops: plastic tarps; flower pots, small, medium and large; two black mixing tubs, one 6' aluminum ladder, surplus concrete blocks formerly part of the makeshift "Olive House"; and when garlic is harvested in June, removing the "raccoon proofing" which consists of a long roll of welded wire fencing, unrolled and lying on top of the garlic bed, with the garlics sticking through the holes,; and removing the 10' long cedar sticks used to anchor down the hideous-looking welded wire garlic cover. Hard to imagine so much "stuff" in one little garden! The good part is that garlic, shallots, and some parsnips are growing, and today I planted beet seeds, and replanted parsnips to fill in spaces. Am seeing alliums up here also! It sounds as if you could use an extra shed or barn? I've got some clutter in the henyard that needs to come out, as well, like a gate separating the duckyard from the hens which came off its hinges, a partial bale of welded wire, a partial bale of chicken wire, a bird house that fell from its post, etc. I spent half of last Saturday just focusing on repairs in the henyard, but more needs to be done. Had to laugh at my list of clutter and your list of clutter and thought that would make a fun topic: Homestead Clutter. I did order a little greenhouse and it has been delivered and is sitting unassembled in a back room. It will be erected around the current olive trees with a few extra feet in which we can plant greens or whatever. Current "olive house" is about 4' X 12' and new one is 6' X 16'. Only other thing needed will be some concrete piers or footing or something very substantial to anchor it, as my original plan to set it on red cedar posts/boards was changed a month or so ago when we experienced incredible winds for several days, which partially destroyed the little makeshift olive house. Speaking of figs, we have four--two that remain in the ground and two that were temporarily moved indoors as they are still in pots. The two that in the ground survived the winter before last including -20 deg. F. They do lose all their leaves and look awful, but can come back. But if it's -20 deg. F for days or weeks on end, they might die. 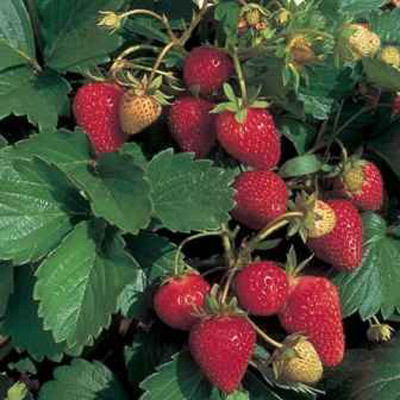 Some people in MO will plant them against a stone or brick wall which is a great heat sink in winter, plus they mulch. Still waiting to see if the two outdoor figs resurrect again this year, as it's a bit early. Am thinking that I may have actually pronounced the fig tree dead too soon then? Too late now, as I already dug it up some years ago! Looking forward to seeing your greenhouse go up, as well as sharing our clutter! LOL! As our climate cools where we live, am noticing that I can no longer overwinter permaculture crops in raised beds with legs or in containers on the deck, so now they all must either go directly into the ground or in a raised bed without legs that makes full contact with the ground. The old containers will still be useful for annuals. That would suggest that we've lost a full or half planting zone here already (7 to 6). We were technically 6b before, but could grow several zone 7 items in the past. Of these, Mesabi from the University of Minnesota appears to be by far the most disease-resistant, but it doesn't thrive in a rainy climate. though named after a more southerly city.